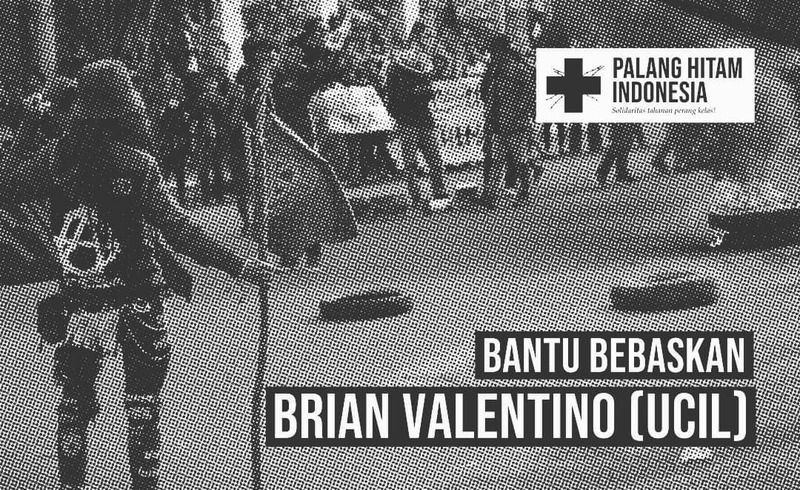 18 May – Since the day of his arrest, May 1st until May 16th 2018, our comrade Brian Valentino who were beaten and tortured have been denied of his rights for legal advocate or lawyer. Ever since he was arrested its already 15 days of interogation without the company of a lawyer or advocate.The police or the legal aid havent gave us a clear reason about this, therefore we are not sure that whether the police or the legal advocate who refuse to help him. To be clear, we received information from Brian Valentino’s dad who have just visited him after a week and he make sure that Brian was the only arrestees who haven’t given any legal aid for 15 days since arrest. – Anarchist Black Cross/Anti-Authoritarian Solidarity Yogyakarta, Indonesia.